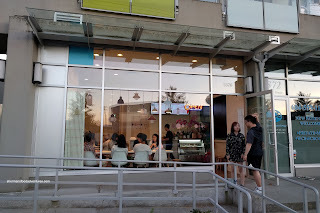 If you haven't noticed or have an aversion to sweets, there have been a bunch of Asian dessert shops popping up all over the place. Some have opened multiple locations such as Snowy Village and Sulmida. Another hot trend is the Mille Crepe Cake made famous by Lady M. Now we don't have a Lady M in the GVRD *yet*, but there are plenty of copycats. 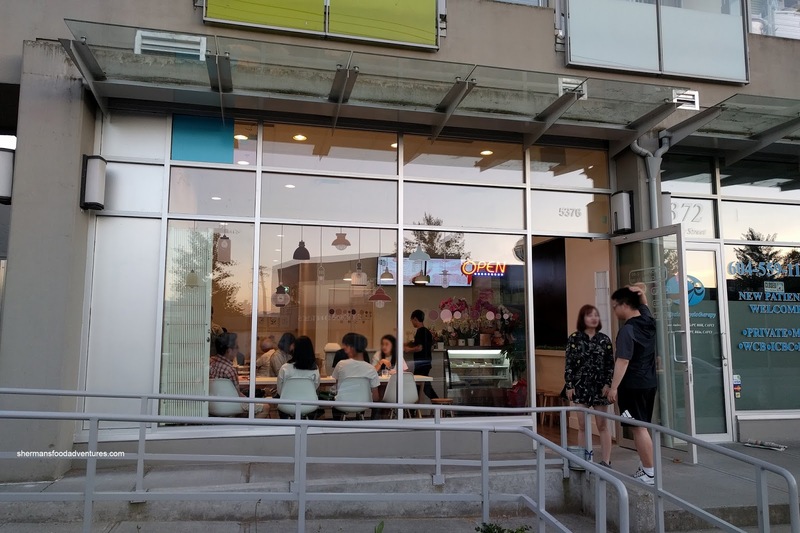 Of course we have the first being L'otus in Richmond and also Candy Tree in Burnaby. Heck, even T&T has them now (but I can't vouch how good or bad they are...). 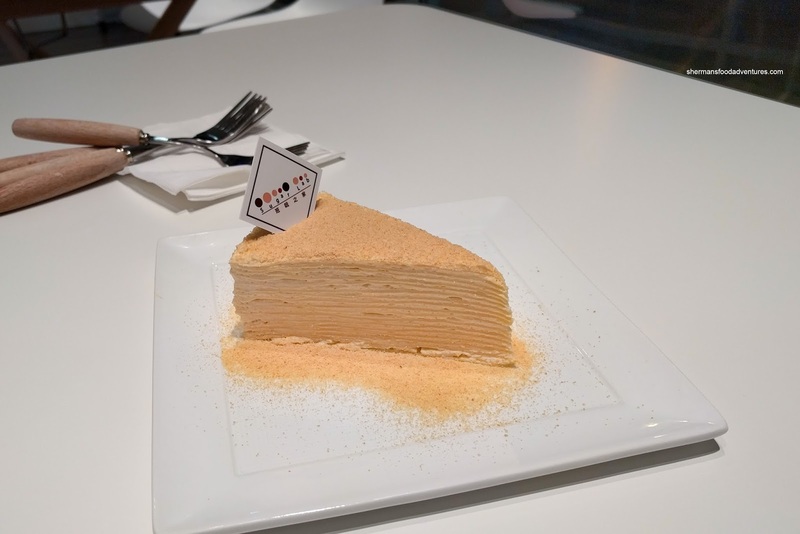 Enter the newest Asian dessert shop, Sugar Lab in Burnaby, to arrive on the scene with a large variety of mille crepe cake. We hit up the place right after Whiskey Six, despite filling up on meats and sides. 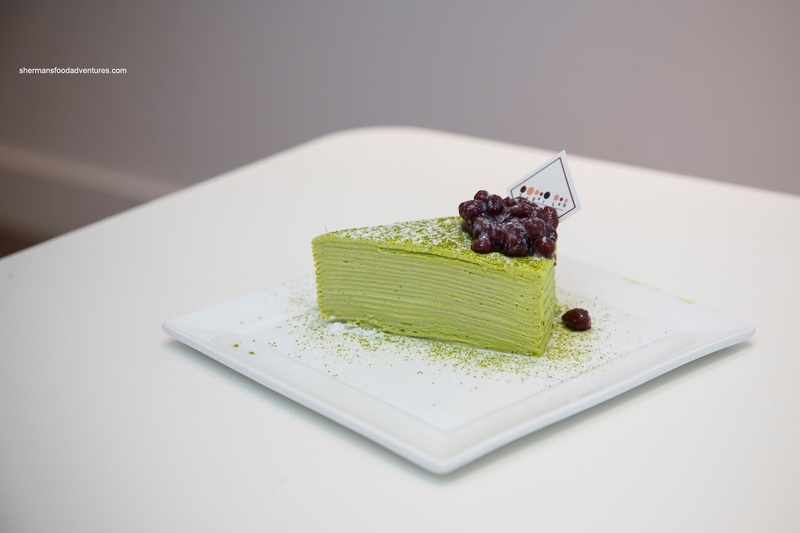 We didn't waste time and went straight for the Mille Crepe Cake in both Tiramisu and Matcha Red Bean flavours. 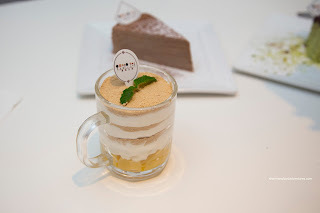 In terms of texture, I found the tiramisu to be lighter and fluffier while the matcha was more dense and doughy. Was it to do with the actual flavour or was it the crepe or was it both? Flavourwise, I preferred the tiramisu more as it was impactful in a light manner. It wasn't very sweet (could've been sweeter) but it definitely appeals to the Asian palette. The matcha was super mild and there was only a hint of bitterness at the end. When eaten with the sweet and appealing red beans, we couldn't even taste the matcha. The star of the show was actually the Mango Pancake. Naturally, it didn't look that impressive before we cut it (and really it isn't that photogenic). 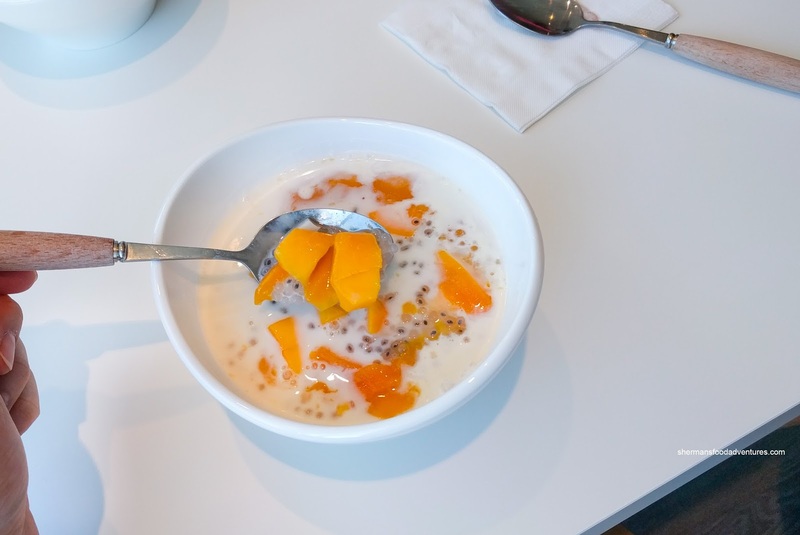 However, one bite and the generously large chunk of ripe mango was delicious with the ideal texture and balance of sweetness and slight tang. The whipped cream was light (yet a bit greasy) and not overly sweet while the pancake was thin and fluffy with an appealingly ending elasticity. Lastly, we tried the Serradura Pudding Plant neatly served in a jar. It was more or less what we expected with a nutty and powdery dust with whipped cream and jello-like pudding. There was a nice aromaticness as well as a malt-like finish. A few days later, I returned with the fam to try a few more items including another mille crepe cake in the same Serradurra flavour as the pudding plant. The cake was lightly dusted with serradura which was just right as it didn't greatly affect the texture of the cake. Again, there was a nutty and malt-like flavour that was aromatic while not overly sweet. The texture of the crepe mirrored the one in the tiramisu being light. 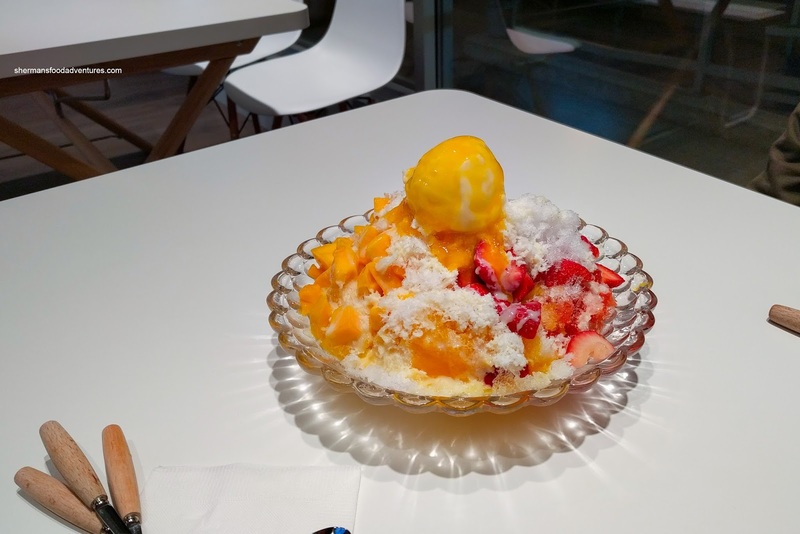 We also gave their Mango & Strawberry Shaved Ice a go. 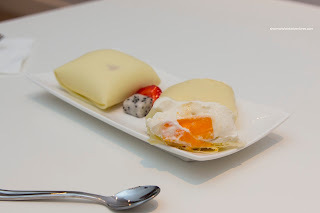 In terms of fruit, the mango and strawberries were ripe and generous in portion. However, the ice itself was not good. It was grainy and too icy being nowhere close to being fluffy. When mom spotted the mille crepe on my IG (yah really), she wanted to try it too. So off we went for our 3rd visit in a week... For me, I decided to try the Black Sticky Rice with coconut milk. This was fairly sweet, but aromatic from the coconut milk. 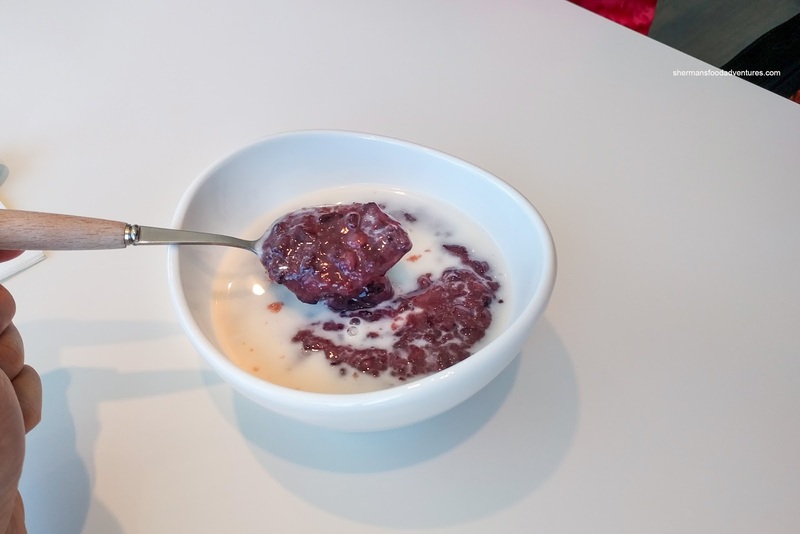 There was probably a bit too much red bean, but it was still fine. We also went for the Mango Sago and we lamented that there wasn't any grapefruit. No matter, it was refreshing and only semi-sweet. There was quite a bit of sweet and tangy mango. The soup was a bit thin though. 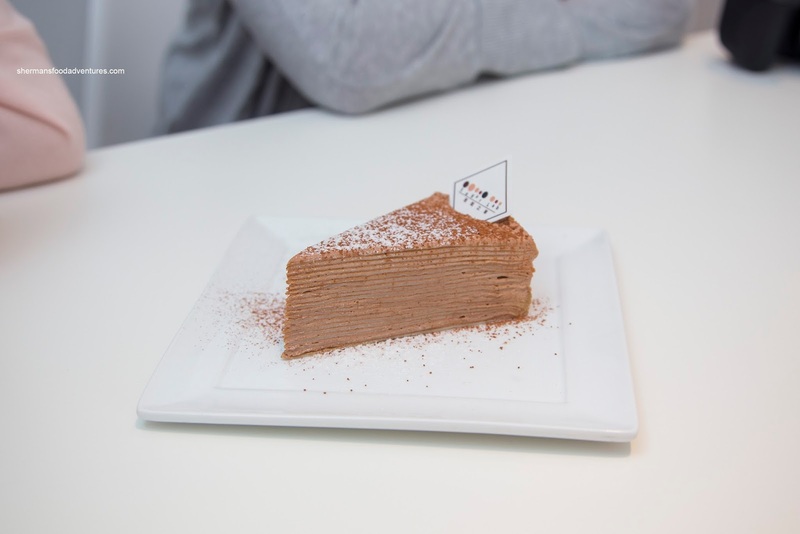 But really, Sugar Lab is all about the mille crepe cake as it takes up most of the menu. 2 of the 3 were not bad while the pancake was surprisingly good. The shaved ice was not so good though.